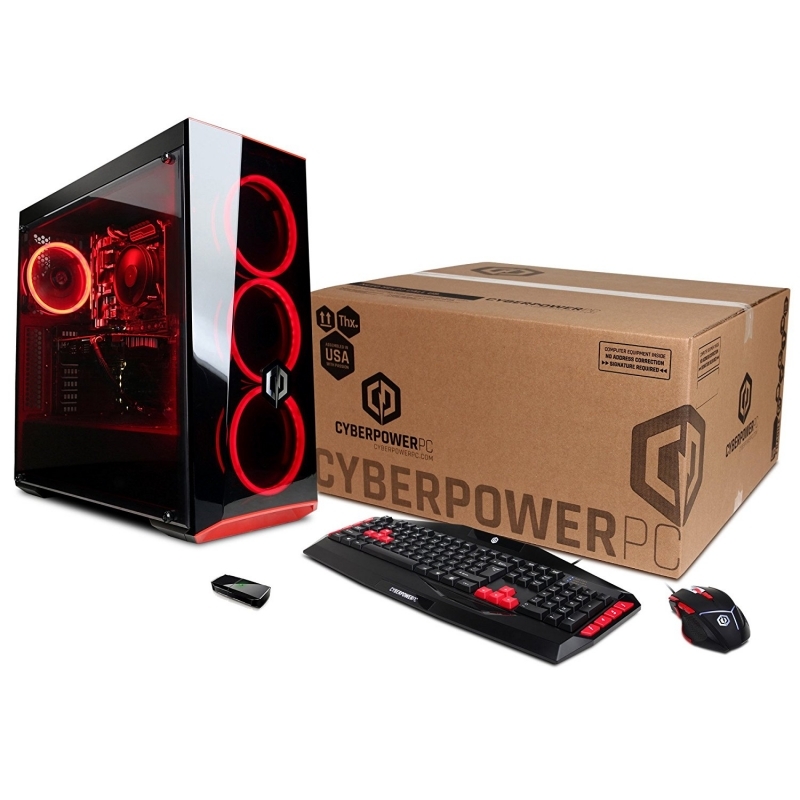 CyberPowerPC Gamer Xtreme VR Series - Intel Edition was manufactured by the CyberPowerPC. 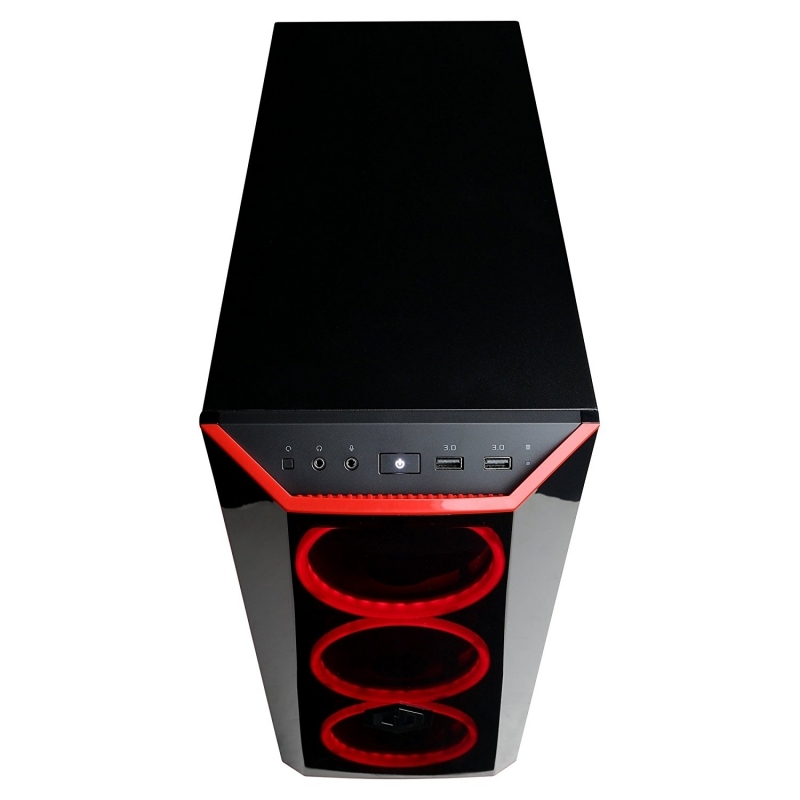 This company is well known for high speed computers with high performing GPU, high speed memory, large hard drive with all the space needed for gaming. 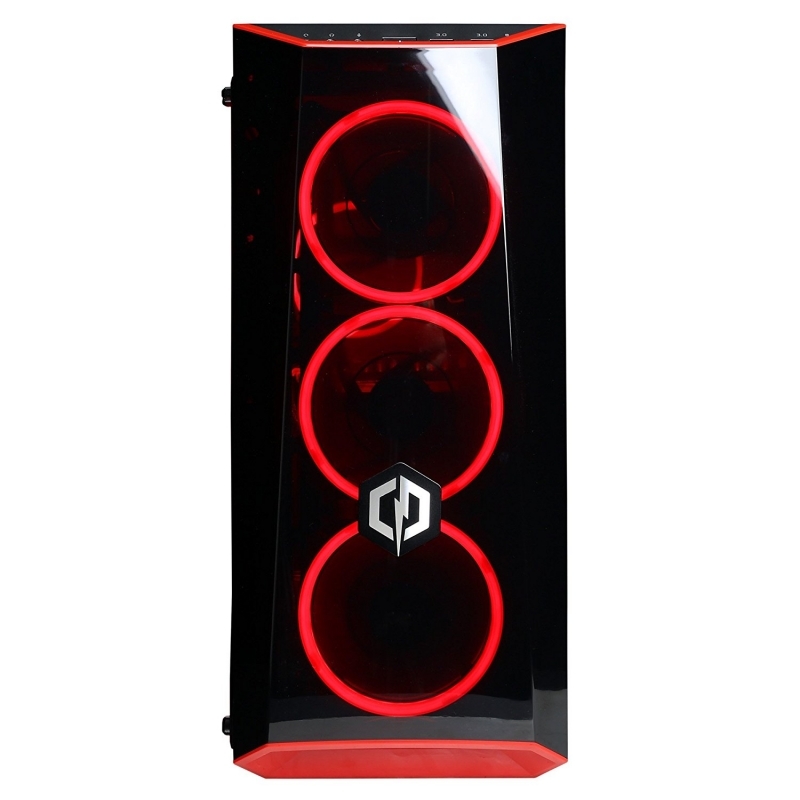 The CyberPowerPC Gamer Xtreme has Intel Core i5-8400 2.8GHz 6 Core with Intel B360 Chipset, 8GB DDR4, 1TB HDD, Genuine Windows 10 Home 64-bit making this computer the best gaming computer on the market. 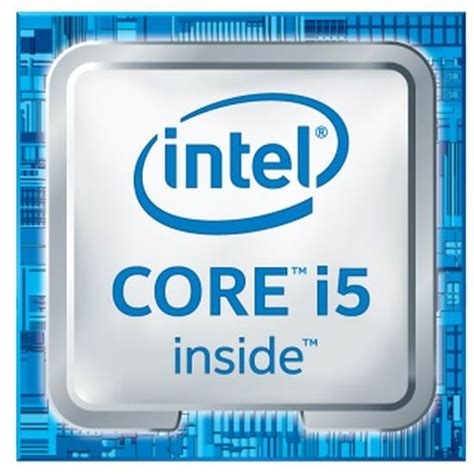 Intel Core i5 processors deliver an incredible breakthrough in PC performance. You'll multitask applications faster and unleash incredible digital media creation. And you'll experience maximum performance for everything you do. Video game is all about the graphics. 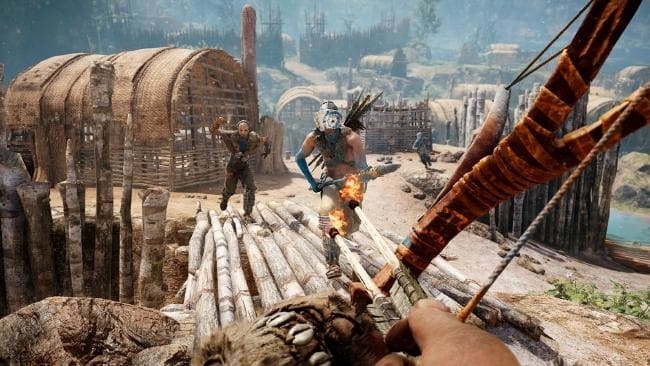 Poor graphics slow down the game, and it makes it not enjoyable. 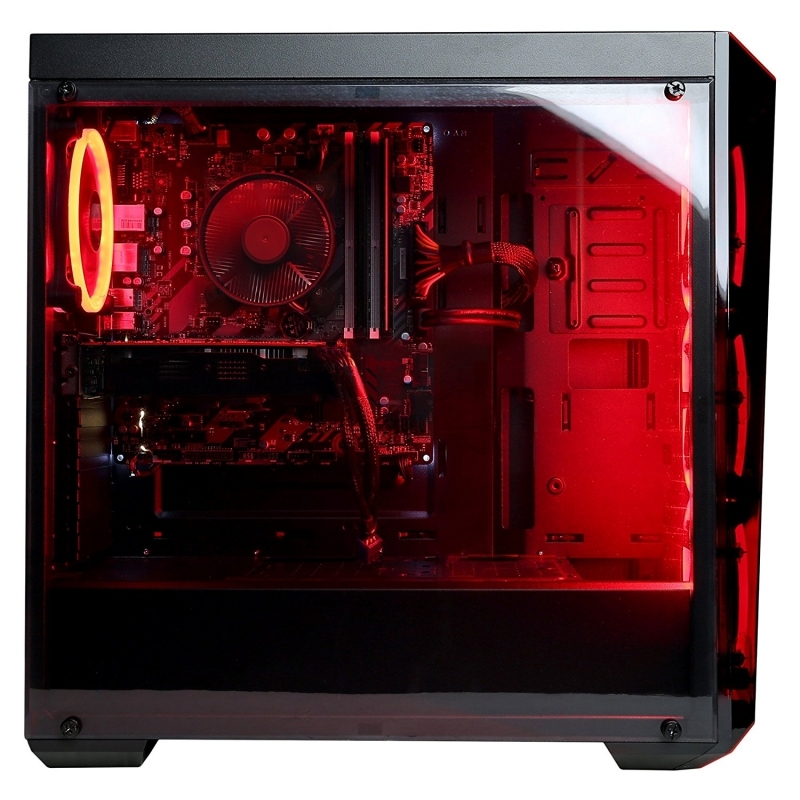 That is why CyberPowerPC has made it possible for you to enjoy your games with AMD Radeon RX 580 4GB Video Card including 1x DVI, 1x HDMI and 2x Display Port making your game smoother with high frame rates and impeccable image quality in the newest PC games. It also come with the new DirectX 12 technology. Windows 10’s API is armed with new features that will provide quicker processing in real time to generate higher FPS and richer graphics as well as reduced power consumption to play longer. 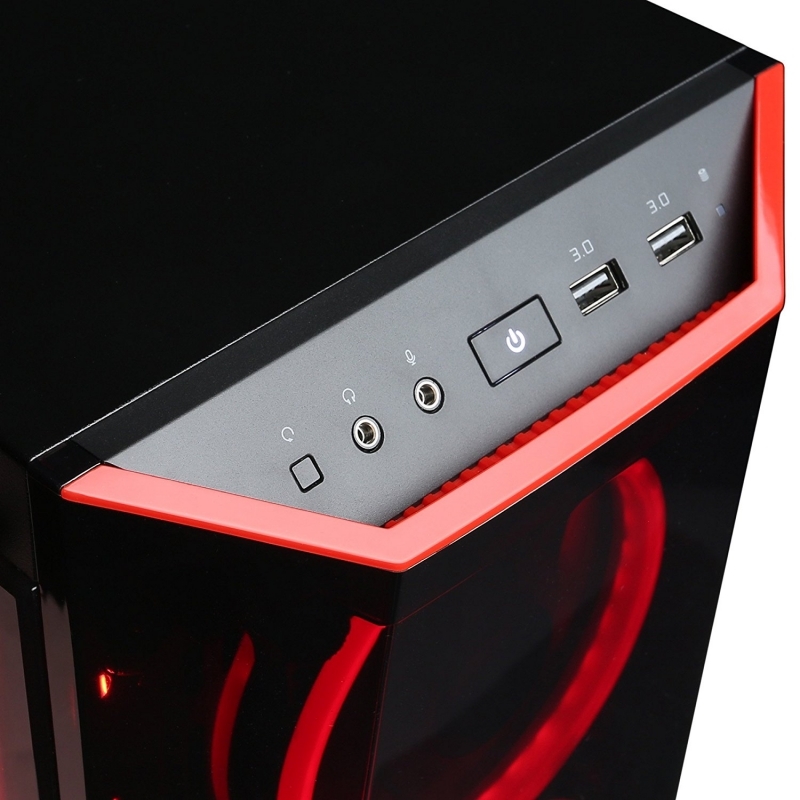 The CyberPowerPC Gamer Xtreme have 6 x USB 3.1 and 2 x USB 2.0. The biggest improvement for the USB 3.1 standard is a boost in data transfer bandwidth of up to 10 gigabits per second. 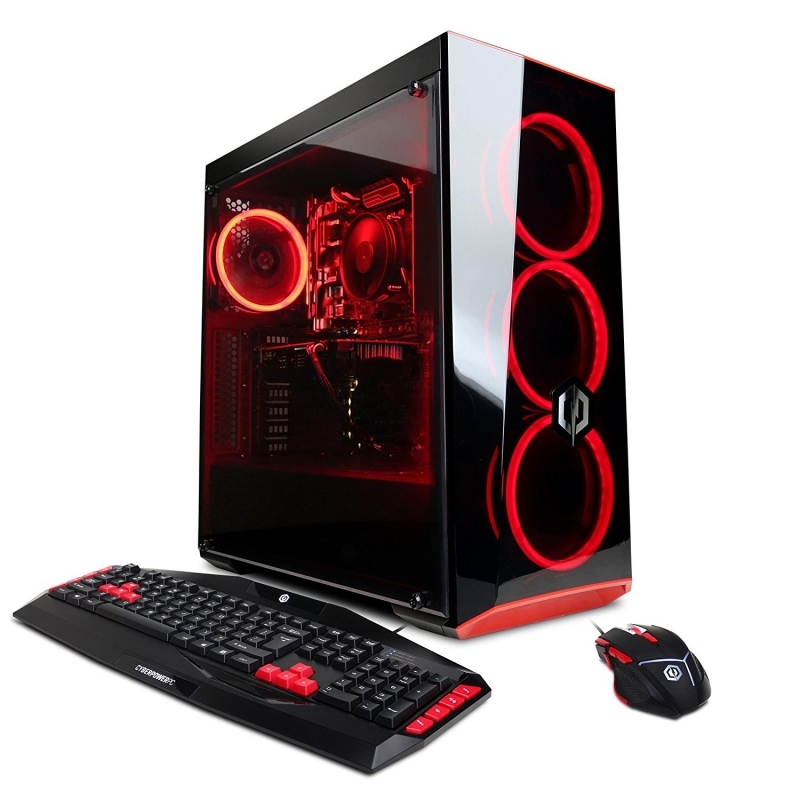 It also has the following Connectivity, 1x RJ-45 Network Ethernet 10/100/1000, Audio: 7.1 Channel, Gaming Keyboard and Mouse. It also includes 802.11AC Wi-Fi USB Adapter for Wi-Fi connection. Escape into lifelike realms of ultra-immersive virtual reality experiences with Radeon VR Ready Premium solutions powered by powerful AMD Radeon graphics. Delivering immense visual power and unmatched technological innovation, AMD's VR Ready Premium solutions set the bar for enabling premium experiences on high-end VR games, entertainment, and applications.experience that VR has to offer. VR hardware and accessories show here not included and sold separately.